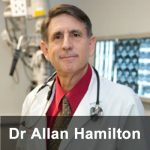 Dr Allan Hamilton might have begun as a janitor, but he didn’t stay one for long. From scrubbing floor and emptying trash cans, Dr Hamilton went on to graduate from Harvard Medical School and finished a neurosurgical residency at Massachusetts General Hospital in Boston. He now has Professorships at the University of Arizona in Neurosurgery, Radiation Oncology, Psychology, and Electrical and Computer Engineering. He’s written over 20 medical textbook chapters, 50 peer-review research articles, and worked on the editorial board of several medical journals. He is also a decorated Army officer, serving in Operation Desert Storm. Fernando Aires talked with Dr Hamilton about technological uses for our medical care, the power of the mind, and his book Zen Mind, Zen Horse – The Science and Spiritualilty of Training Horses. 10 diseases you hope to never get (Part 2). 10 diseases you hope to never get.